Last night was the KCMQG November meeting, and we had a holiday gift swap. Boy, did I score on two counts! 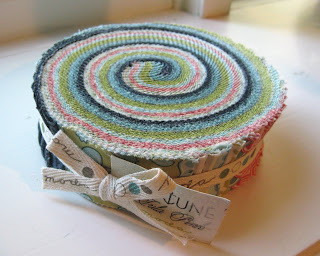 But first, here is what I made for the swap - a potholder and dishcloth. I used this chance to try out gray and yellow, a combo I've been interested in for a while. I like it! 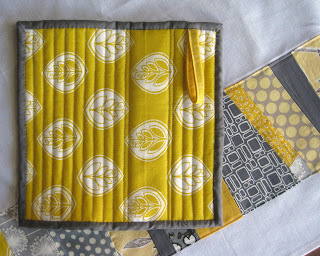 Also, love this yellow fabric I found at Joanns - sort of reminscent of lemons, without being literal. And here is what I received from Sheryl. I was last to pick in my group, and I couldn't believe no one else snapped this up. 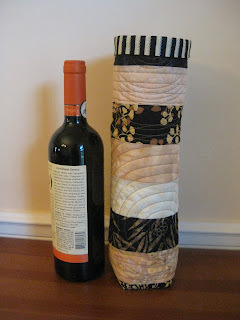 The quilting on this wine bag is lovely. What a great way to give wine as a gift too. And look what she included! To top it off, I was passed a note during the meeting. I don't think I've gotten a note since about 8th grade, and it was just as exciting as I remember. Jenny managed to procure a Neptune Honeybun (impossible to find! ), and she let me buy it from her. Score! 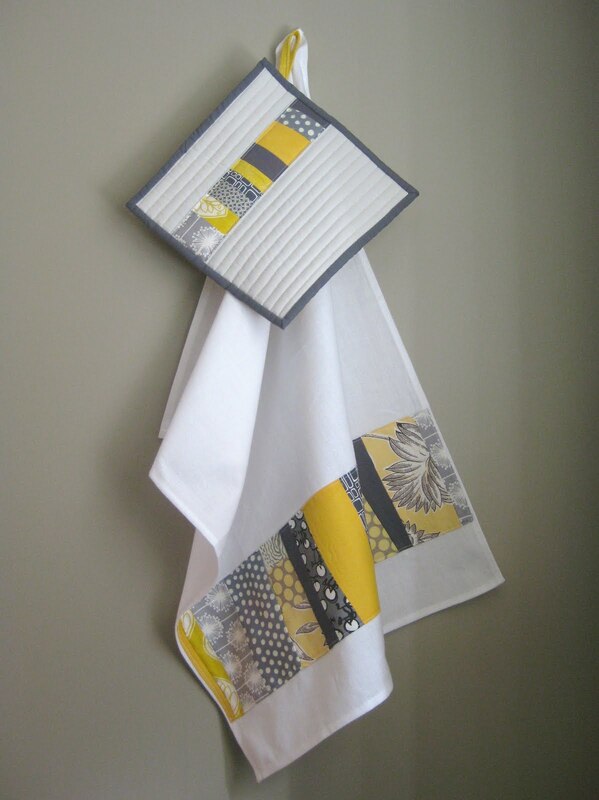 your potholder and dishtowel are so cute! 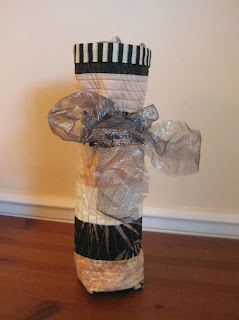 wow, love that wine bag :) you scored! 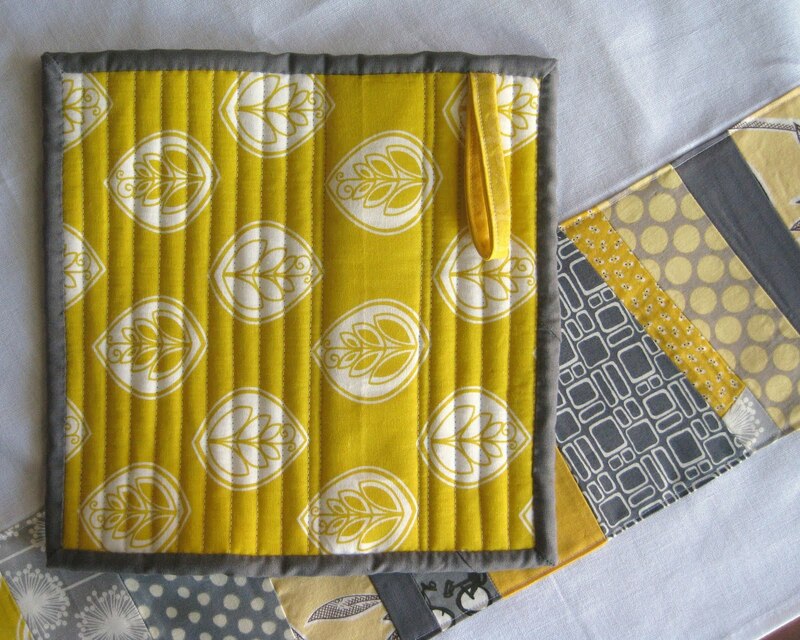 love your quilted goodies made too. I love the yellow and the gray....so pretty. And so lucky on the wine cozy (I had my eye on that)! Did you use a pattern for this towel and potholder? Or did you create a pattern? I'm looking for a linen towel pattern--suggestions?